My name is Randy D. Barnes, D.C. I am a 2004 graduate of Palmer Chiropractic College. I am also a graduate from the University of Nebraska Kearney and served four years in the United States Marine Corps. After years of education and hands-on experience, my wife and I decided to practice and raise our family in the Norfolk area. I treat everyone from infants to seniors, athletes to weekend warriors. 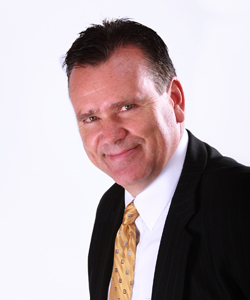 I also have an extensive knowledge in the treatment and management of Personal Injury cases. All of my cases are handled in a multi-disciplinary fashion, i.e., neurologic, orthopedic, and diagnostic testing. A native of Norfolk, NE, Dr. Calvin J. Thor is back to serve his community! 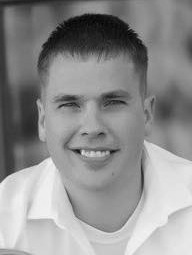 Dr. Calvin graduated from Norfolk Catholic High School in 2006, then attended SDSU & UNO before making his way to Cleveland Chiropractic College in Overland Park, KS. He graduated Chiropractic school in April of 2013 and soon after began with Creekwood Chiropractic. He is a firm believer that the body is capable of healing itself and would love to help you reach your full health potential. He currently enjoys golf, football, and spending time with his family. Dr. Calvin's chiropractic story started at a very young age and was able to grow up with chiropractic as a normal part of his family healthcare regimen. As a second generation chiropractor Dr. Calvin grew to have a strong passion and understanding about what chiropractic could do not just for pain but for his overall health and well-being. Dr. Calvin is a firm believer that the body is capable of healing itself and would love to help you reach your full health potential. He has had great success with patients of all ages as well as athletes who have presented with disc issues, sciatica, vertigo, radiating pain disorders, scoliosis, chronic headaches and more! For the past four years, Dr. Calvin has been involved with and enjoys helping at the Clarkson and Madison Rodeos as their go to chiropractor. You may spot him down by the chutes helping out the cowboys and cowgirls before their events! 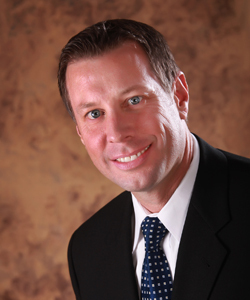 Dr. Calvin is Nationally Board Certified by the National Board of Chiropractic Examiners (Part I-IV & Physiotherapy) as well as licensed by the Nebraska Board of Chiropractic and is a member of the Nebraska Chiropractic Association. Dr. Calvin is also a member of the Extreme Sports Medicine Association. Dr. Calvin is currently taking appointments in the Creekwood West Point Office by appointment only but is available in the Norfolk office 6 days a week! Dr. Chelsie grew up in Grand Island, Nebraska. She received her Bachelors of Science degree from Briar Cliff University in Sioux City, IA where she also continued her athletic career as a participant on the volleyball team. She then continued her chiropractic education at the prestigious Palmer College of Chiropractic in Davenport, Iowa. At Palmer, Dr. Chelsie served as a Diagnosis Teaching Assistant and Clinical Radiology Technician Assistant. She also enjoyed volunteering her time serving as a teaching assistant in the Pediatric classes. She currently enjoys playing coed volleyball, running with her dog, and being with family, especially her daughter Londyn. Dr. Chelsie takes great pride and joy in her career as a chiropractor helping others get their lives back and restoring health! Dr. Chelsie's chiropractic story began as a high school athlete, when she was unable to run track or long jump without severe low back pain. She had exhausted all conservative treatment routes but nothing helped her as well as chiropractic care did! With a few chiropractic adjustments she was back on her feet and able to run and jump with little to no pain! From that day forward, Dr. Chelsie decided she too wanted to help and serve others through chiropractic. Dr. Chelsie uses many different forms of chiropractic care tailored to each individual. Among those techniques, she is certified in Webster Technique for Prenatal care and has completed her full certification in Pediatric and Family care (CACCP - Certified by the Academy Council of Chiropractic Pediatrics). However, Dr. Chelsie loves seeing patients of ALL ages! Although Dr Chelsie has always had a passion for helping the little ones, it wasn't until she did her chiropractic mission trip in Fiji during her studies at Palmer that she truly fell in love with chiropractic care for kids. There she learned the true power of what chiropractic could do for children and decided to extend her education through the ICPA and is now a CACCP meaning she is certified in Pediatric, Prenatal and Family chiropractic by the Academy Council of Chiropractic Pediatrics. (See the Chiropractic & Kids section for more information on how chiropractic can help YOUR kids). This also allows Dr Chelsie to fulfill her passion with the most up to date knowledge in taking care of the pregnant population during the entire perinatal period. 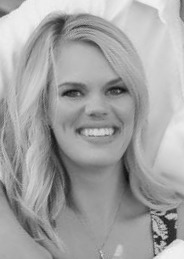 Dr. Chelsie is Nationally Board Certified by the National Board of Chiropractic Examiners (Part I-IV & Physiotherapy) as well as licensed by the Nebraska Board of Chiropractic and is a member of the Nebraska Chiropractic Association. She is currently also a member of the ICA and International Chiropractic Pediatric Association and is the NE District Representative for Palmer College of Chiropractic. Dr. Chelsie would be honored to serve you and your family and is available in the West Point office 6 days a week! Dr. James J. Thor, a native to northeast Nebraska currently resides in Norfolk where he is approaching thirty years in private practice. Before beginning his career as a chiropractor, Dr. Thor attended the University of Nebraska at Lincoln where he obtained a Bachelor of Science in both biology and chemistry in 1982. Following graduation, Dr. Thor continued his studies at the prestigious Palmer College of Chiropractic where he was conferred the degree of Doctor of Chiropractic in 1985. In addition to his formal training, Dr. Thor continued to pursue other avenues of academia which included the development of the Limited Radiography Program for the state of Nebraska which allows all medical staff the ability to better themselves through continuing education resulting in the certification to take x-rays in a medical setting. In addition to the aforementioned, Dr. Thor was granted post-graduate faculty status with Palmer College to teach limited radiography. Rounding out his academic achievements, in 1988 Dr. Thor authored the Nebraska Chiropractic Physicians Associations Practice guidelines in alignment with Nebraska’s state laws and national trends. As a result of his efforts, his work on the subject became the paradigm for all other states.